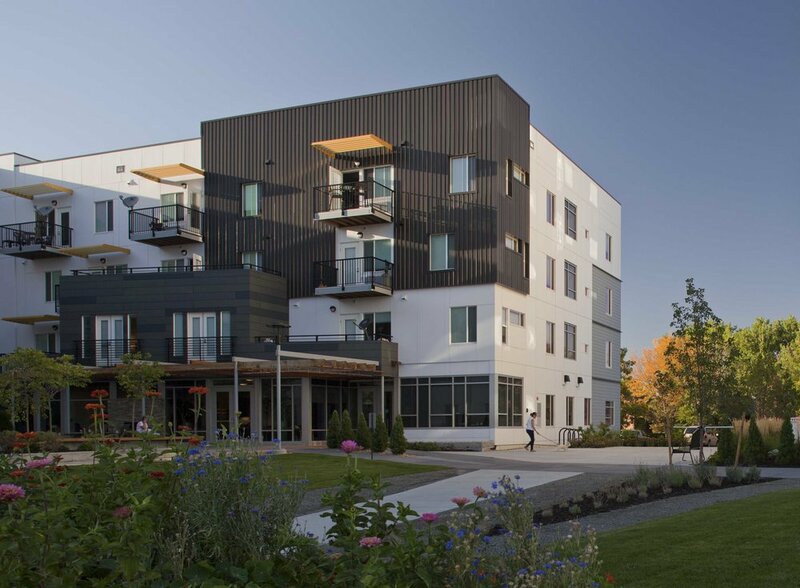 The buildings for this site, one of the highest points in Lakewood, required careful consideration of massing, orientation, setting, and exterior colors due to their proximity to an historic college campus, and the desire to maximize views and solar gain. 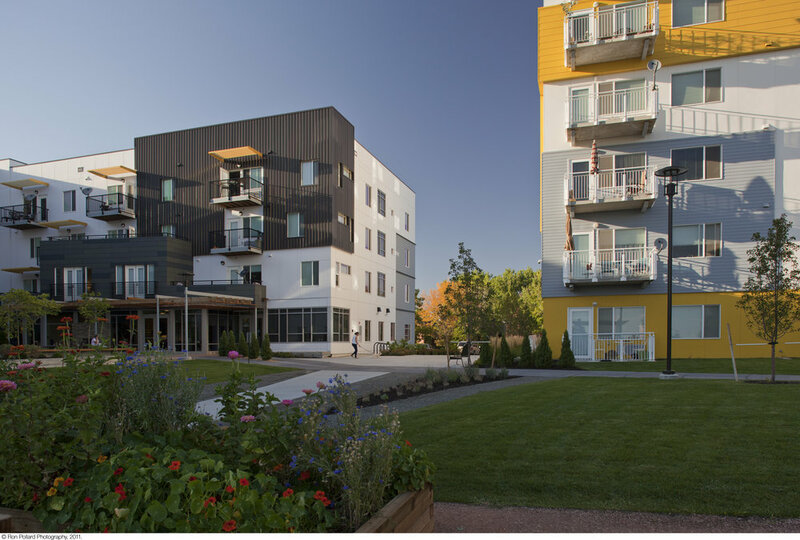 The large site allowed the apartment campus to accommodate many community functions and amenities split between the buildings. A community theater, pool, salon, computer room, and exercise rooms, along with various classes and programs support residents’ physical and mental health. Campus design features include a xeriscaped roof, community gardens shared between buildings, and a pedestrian walkway which encircles the campus. In addition to the amenities and wellness features, the building is extremely energy efficient and utilizes numerous sustainable technologies. Exterior wall and roof mounted photovoltaic panels, a green roof, gravity film exchanger (gfx) hot water recovery system and an innovative passive solar cladding that directs heat build-up in the exterior skin of the building to heat interior common spaces. Water quality and detention is handled through a central extended detention basin and a green roof. Phase II of the building is certified LEED Platinum.